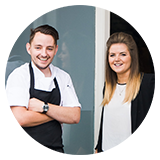 Meet Sophie and Jake, two entrepreneurs with a passion for food who had a dream to launch their own restaurant. They wanted to create a menu that reflected the Staffordshire landscape by using the finest and freshest local ingredients. Their menu was to be vibrant, contemporary, and a welcome alternative to the chains dominating the high street. From the handcrafted wooden tables, the light pendants made from reclaimed pails, and the rustic details dotted around the restaurant, this would be a farm-inspired experience that’s sympathetic to the market town it calls home. Their dream became Little Seeds Bar & Kitchen in Stone. I always enjoy working with small businesses: I love hearing the stories behind the idea and learning how the product came to be what it is. 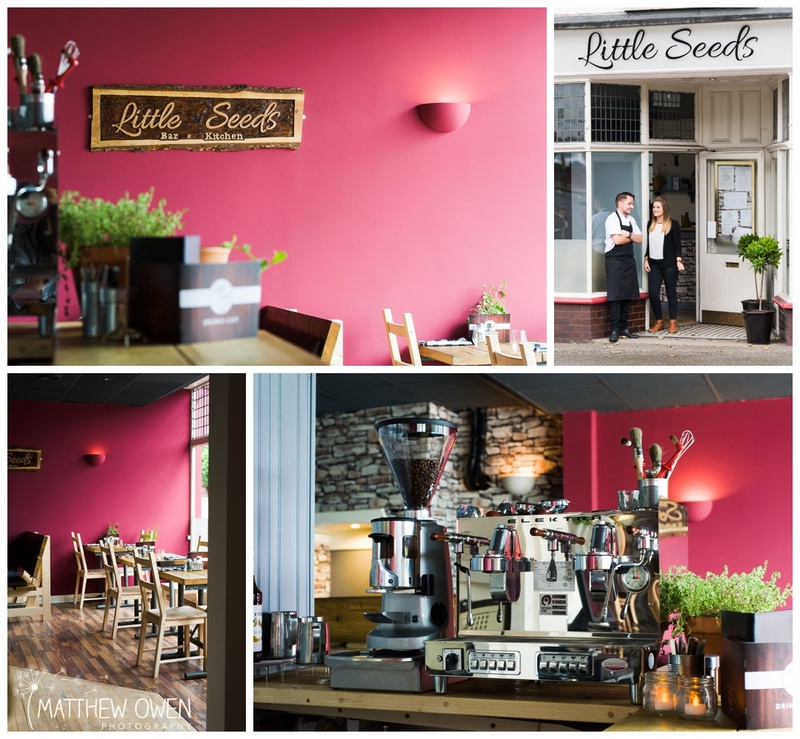 Little Seeds was born out of a passion for providing great customer service and creating an exciting seasonal menu that celebrated local suppliers and seasonal produce. Oh, and they built their restaurant from nothing and welcomed their first customers just two weeks after collecting the keys! To say it was a busy time for Sophie and Jake is an understatement. As we talked about their vision over coffee, there was a strong emphasis on this being a local business in every sense; from the staff and latterly working with apprentices from the local college, to suppliers that underpin the seasonal dishes on the menu. This is an ethos that I wanted to capture in their marketing photography; images that stood out from their competitors, images that showcased the individuality of their product and images that were a true reflection of their brand. Following the consultation, I developed a schedule that would create images to be used for brand awareness, promote their signature dishes, and illustrate the skill and craftsmanship that went into their product. And on the day of the shoot, Jake arrived with a bag full of herbs and beetroot picked from their garden that morning. 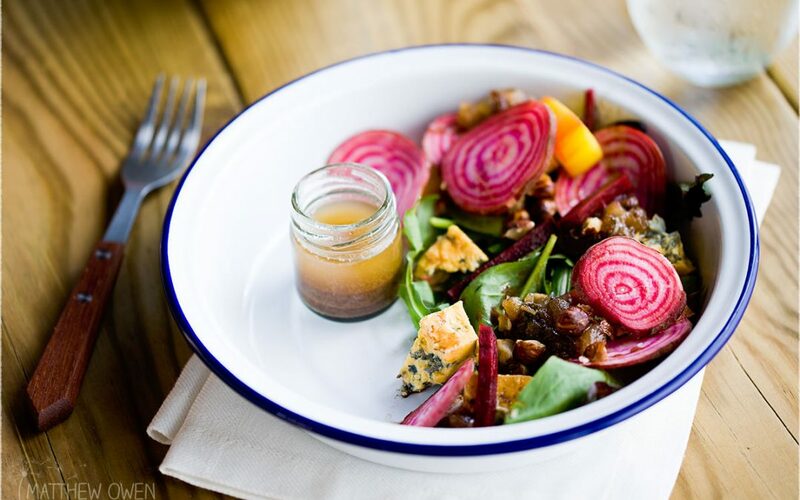 That beetroot was transformed into the star ingredient of delicious and vibrant salad, and to me, this was the philosophy of their business on a plate: great local, seasonal food prepared simply to let the ingredients shine. And that’s Little Seeds. Thanks to Sophie and Jake for inviting me into their restaurant. Whether you’re just staring out, launching a new product or refreshing your menu, you deserve images that work as hard for your business as you do. Arrange your complimentary consultation today and start your story. Matt describes what Little Seeds is all about better than we do! He is a thoroughly professional and creative photographer and can adapt to any situation required. Matt is very flexible, fairly priced and can work around your business needs. We couldn’t ask for a better photographer to work with. Thanks, Jake – you’re always a pleasure to work with!